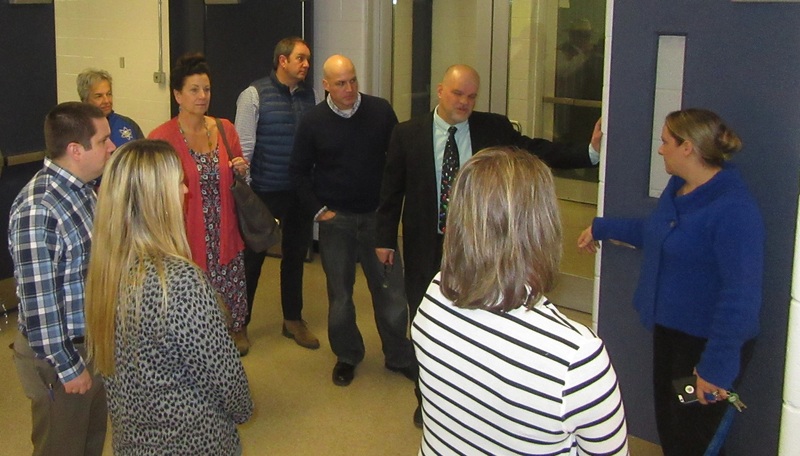 Jennifer Farley (upper right), administrator of educational services at NTCC leads members of the Towanda Area School Board on a tour of the facility on Monday evening. 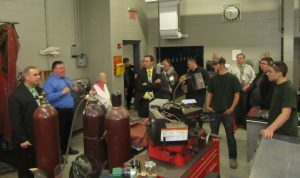 Towanda students (in green shirts, above, from far right) Tim Donovan and George Bump answer questions from Wyalusing Area School Board members and administrators in the school’s Automotive Technology department. Both groups enjoyed a meal prepared by Culinary Arts students that included gluten free offerings before conducting their regular monthly meetings at NTCC. The Troy Area School Board is slated to visit the facility this evening.